Dhaka: The office of Bangladesh Prime Minister Sheikha Hasina on Sunday denied as "completely baseless" some media reports of a plot by her bodyguards to kill her last month. However a senior minister said separately there had been an assassination conspiracy, without giving details. The prime minister's office issued a statement condemning the allegations carried in some news outlets as "completely baseless, misleading and motivated". Deputy press secretary Mohammad Ashraful Alam said the rumours of an assassination attempt on 24 August by officers of Hasina's special security force were fabricated and damaging to the country. 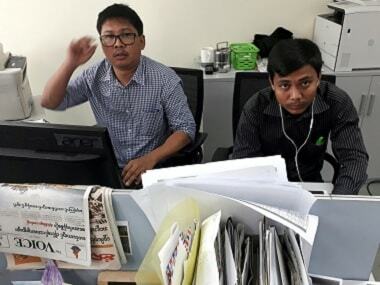 Bangladesh's state-run news agency issued an advisory Saturday asking subscribers not to use an earlier story apparently referring to the reports. Some other outlets published details of an alleged plot involving the bodyguards and an Islamist group. Obaidul Quader, an influential minister and deputy leader of the ruling Awami League party, told reporters Sunday there had been a conspiracy between local and foreign groups to assassinate the prime minister but offered no details. Hasina, seen as a moderate in religious affairs in the mainly Muslim nation, was targeted by an Islamist extremist group in 2004 when leader of the opposition. She survived a grenade attack at a political rally which killed 22 people. Since coming to power, she has cracked down on religious extremists. 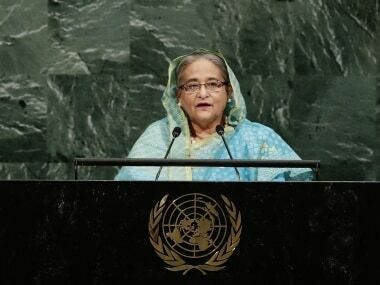 Rumours of another assassination attempt come as Hasina rallies international support at the United Nations in New York over the Rohingya refugee crisis unfolding on Bangladesh's border. 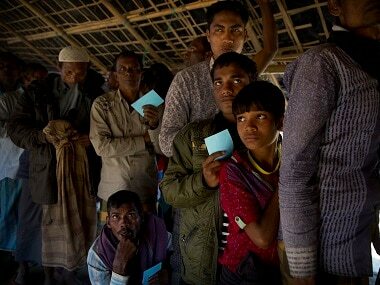 The UN said Sunday that 436,000 Rohingya fleeing ethnic violence in Myanmar had arrived in Bangladesh in the past month.